Daily dose for kids: Confused about safe age for using nasal steroid sprays in children for allergies? Confused about safe age for using nasal steroid sprays in children for allergies? 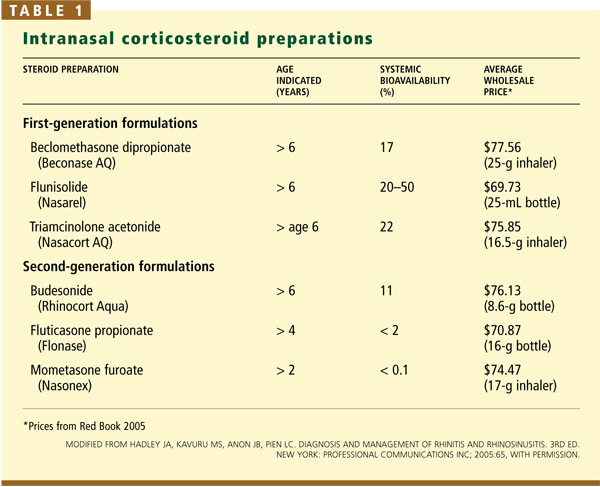 Since we do have all the second generation products in India, I believe using Nasonex (Mometasone) would be the easiest choice since it has very low bio-availability (a good thing), and is safe for children above 2 years.